It’s looking like Brie Larson’s Captain Marvel has found a new co-star. 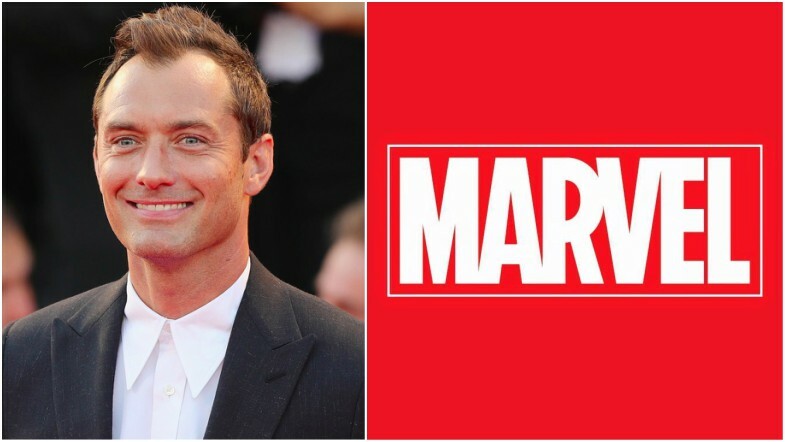 According to Variety, Jude Law is in talks to join Larson in Marvel’s upcoming Captain Marvel solo movie. Law will play Doctor Walter Lawson (a.k.a. Mar-Vell (genius name)), who was Captain Marvel before Carol Danvers (played by Larson) inherited the mantle. In the comics, Lawson is kind of a mentor to Danvers, an Air Force pilot whose DNA gets mixed up with alien DNA and then, naturally, learns to fly and shoot laser beams from her hands. And she’s super strong. And fast. Captain Marvel marks the Marvel Cinematic Universe’s first solo movie to have a female lead. The most recent draft of the script was penned by Geneva Robertson-Dworet with previous drafts written by Inside Out’s Meg LeFauve and Guardians of the Galaxy’s Nicole Perlman (not too shabby). The movie will be directed by Anna Boden and Ryan Fleck (Mississippi Grind, Half Nelson). The film will be sets in the 1990s so expect some Red Hot Chili Peppers and Alanis Morissette playing in the background. The antagonists will be villainous alien race the Skrulls, who are notorious shapeshifters. So don’t trust your eyes. Captain Marvel is expected to hit theaters March 8, 2019. Here’s hoping Marvel’s looking at Kelly Sue DeConnick’s amazing run on Captain Marvel for inspiration.